Your secure member self-service website. Can't Sign In? Having Trouble Registering? If you try to register and receive the following message: "The information you entered does not match our records. Enter your member ID number and name exactly as it appears on your card," please make sure you are registering on the correct website. Check your ID card to verify the company that administers your health plan. For more information, select a number. Disclaimer: Your card may look slightly different or have different information. The following links will take you to the websites affiliated with BlueAdvantage. If you forget your username, choose Forgot your username on the Need Help page of My Blueprint and enter your member information. If you forget your password after you successfully sign in once, you may answer your secret questions to enter My Blueprint. You will then have to create a new password. Choose Forgot password on the Need Help page of My Blueprint. Your password is sensitive to upper and lower case. You must use your shift key on your keyboard for capital letters. Your password must be at least 8 characters and no more than 12 characters in length. You need your password plus your username to enter My Blueprint. You are allowed only three unsuccessful login attempts. Your account will be locked for a period of time after the third login attempt. Choose Forgot password on the Need Help page of My Blueprint. You will be able to access My Blueprint if you successfully enter your username and the answers to your secret questions that you selected when you registered. The answers must match exactly the answers you entered when you registered. Choose Create an Account. You will be directed to a page that will provide instructions on how to register. What if my account is locked when I attempt to sign in? After a certain number of unsuccessful login attempts, your account will be locked for a period of time. The locking helps protect your personal information from hackers. You can come back to the site later or register again. What should I do if I get a message saying that my browser needs to be updated? If My Blueprint detects a browser that doesn't support our level of encryption, you will receive a message telling you that you need to update your browser. Updates are usually free on the website that supports your browser. Encryption is necessary to protect the security of your personal information. 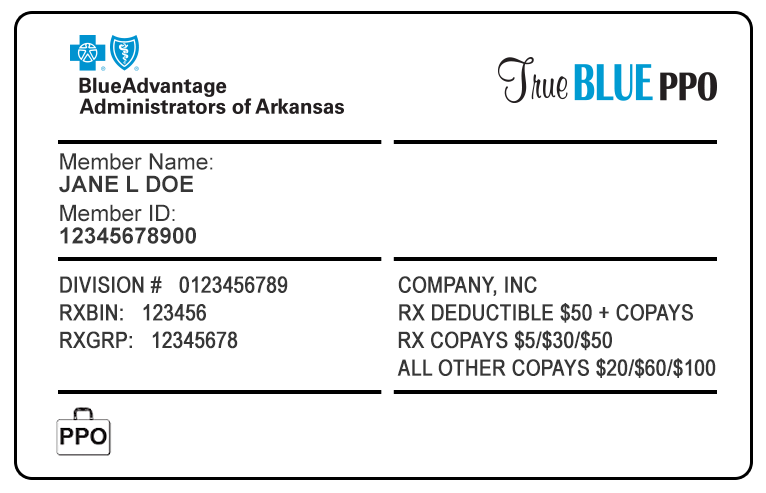 BlueAdvantage Administrators of Arkansas is an Independent Licensee of the Blue Cross and Blue Shield Association and is licensed to offer health plans in all 75 counties in Arkansas. Copyright © 2001-2019 BlueAdvantage Administrators of Arkansas.